As the well-known cartoon caption states, “On the internet, no one knows you’re a dog”. It’s ok to be a dog when identity doesn’t matter, but if you want to ensure your customer is a real person, does IT deliver? Joanne Knight looks at identity verification, how it has moved from business process to IT functionality, and why people still have to play a part. Joanne discusses the dog’s breakfast that often results from weaknesses in establishment and provisioning processes. She will also use the RealMe® online identity verification service as a case study in putting people into a process that ensures a user is definitely not a dog. Joanne Knight is a Senior Business Advisor in the Digital Transformation unit of the Department of Internal Affairs, Te Tari Taiwhenua. She was involved in the development of New Zealand’s Evidence of Identity Standard, from the original development working group, piloting the standard, to sitting on the Governance Group. 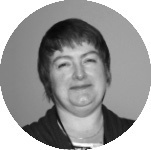 Joanne provides identity advisory services to government which includes education, assessing identity-related risk and advice on the design of identity-related processes. She is also lead editor of ISO/IEC 29003 – Identity Proofing an international standards.